I had an interesting conversation with a colleague recently. He used a good analogy for recent market action: imagine if you had been away from a trading screen for the last three months, you then came back and were asked where you thought EURUSD would be. What would you say? Probably 1.1000/ 1.1800 maybe. You have seen all the negative comments and the Sovereign debt debacle spread its tentacles into Greece, then Portugal and Ireland and now maybe even Italy, so surely the euro had to decline, right? Well no, it’s higher than it was at the start of the year. This is a good analogy for market action in recent months since it has been extremely difficult to make money. Sure there have been some trends: EURCHF, USDCHF, GBPCHF, but other crosses have simply bounced around. If you have suffered don’t think you have been alone, even major investment banks have found trading extremely difficult in recent months and second quarter earnings from trading floors are expected to be fairly weak. So what can traders do when markets aren’t trending? The most important thing is to keep a diary. Firstly look at the markets. You need to study charts – hourly, daily, weekly and monthly are my favourites to get a good look at what the market is doing. Look at the longer time frames first and then work back towards the hourly, will help you to determine what is going on. As an example, the long-term weekly chart for EURUSD suggests that the single currency is trading in a range, and 1.5000 seems to be forming a double top (Jan 2010 and June 2011 highs), this suggests the trend over the coming months could be lower. However, the daily chart looks like it is still in an uptrend. Putting all of this together we can say that EURUSD may have peaked, and although the longer-term outlook is lower, it is not moving down in a straight line and is prone to bouts of strength. Compare this with EURCHF. On a weekly, monthly and daily basis it looks like it has been falling off a cliff since peaking in 2007. The Swissie has had a storming few years and after trading above 1.6500 in 2007, it is now lingering around 1.1500 at the time of writing, and is ripe for another move lower. So what can traders do? This is where technical indicators and pivot points in particular come in extremely useful. Let’s look at EURCHF first. My favourite indicators are moving averages, the relative-strength index (RSI) and the MACD – which is also an average of recent prices that is a good indicator of trend. On a weekly basis both the RSI and MACD look over-stretched on the downside. Indeed, the cross is below all of its major moving averages, which is another sign it could be oversold. This makes sense since the pair is at record lows. However, on a shorter-term basis the indicators tell a different story. At the time of writing the daily indicator doesn’t look oversold, and the hourly indicator is only just turning over. Traders need to interpret these indicators carefully. If you rushed in and bought EURCHF just by looking at the monthly charts then you may expose yourself to losses. However, if you are aware that EURCHF is at record lows, yet look at the daily and hourly charts before you make your trading decision then you will be better informed that this pair may be about to enter a new epoch and EURCHF may reach 1.12, maybe even 1.10 in the coming weeks. This works for currency pairs where there is a strong trend like the Swissie. However, what about when there is no trend like EURUSD? This is where you need to look at other indicators as the RSI and MACD may not be too helpful. When pairs are in ranges I often look at Fibonacci levels and pivot points. Both are good indicators of support and resistance and can help in determining short-term price ranges. Let’s look at pivot points first. When there is no prevailing trend prices often fluctuate around the pivot point. If prices trade above or below the pivot this is considered a lead indicator. Pivot points also provide primary and secondary resistance levels, which can be used as good exit levels. Let’s say you saw EURUSD break above its current pivot point of 1.4104, you may look at the primary resistance level as a take profit level if you are a short term trader. In this instance you may think about exiting at 1.4256. The reason to get out here is that at the point of primary resistance the risk of a reversal increases, especially in choppy, nervous markets like these. The same is true for break out on the down-side; shorter-term traders would look for the primary support level, which may cushion a drop in the single currency. In this example it would be 1.4014. Fibonacci’s are well-loved indicators that also act as support and resistance zones, and are beloved by traders in direction-less markets. Also known as Fibs they are essentially a pattern of numbers: when you add the previous two numbers you come up with the third number. It’s useful for traders since often markets including stocks and FX will pull-back or retrace a certain percentage of a prior price move before continuing with the prevailing trend. The main Fib levels are 38.2%, 50% and 61.8%. EURUSD may slide back to a certain Fib level and then continue its uptrend as it did at 1.4000 – a key support zone and the 38.2% retracement of the August low to the early May high. If it was to convincingly fall below this level then it may signal the start of a more protracted move lower. No technical indicator is a perfect tool but they are useful guides. When you feel overwhelmed by the amount of news coming at you and contradictory headlines; Bernanke said this, Bernanke said that, then they can be a good tonic to clear your mind and boost your trading successes. Kathleen Brooks is research director at FOREX.com. 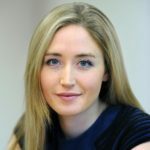 Prior to this she was a trading analyst for BP’s finance trading department and a financial features writer at City A.M. She is a graduate of both Trinity College Dublin and Columbia University in New York. She has published a book called "Kathleen Brooks on Forex"
good article,I'm only a beginner myself and I found it easy to read,the main points were communicated very succinctly. Does she make any money with it , or she just an author? Successful professional trader, analyst and author on forex. No obvious signs she has been a private retail trader. Many years ago , I met a forex writer , he only wrote articles for forex companies , that is why I asked.